Please share this article, it's not mine but it is a powerful and proven way to build accountability and performance. I have chosen to elaborate on the piece originally featured on the Fast Company website because I feel Ivy Lee's method must be enhanced with a couple of tweaks to make it relevant and suited to taking faster, smarter decisions in today’s Volatile, Uncertain, increasingly Complex and Ambiguous world (VUCA for short). The story is of Ivy Lee and Charles Schwab, and dates back 100 years. Please click on the link at the bottom of the article and read it after having taken on board what I will simply call a couple of 'kaizen' improvements to the Ivy Lee Method. To be effective today we must accept VUCA as the new norm and replace command and control leadership styles with the Agile Mindset. Why? because only by building an agile mindset can a company spin on a dime and take advantage of the chaos that stems from running a business in today's volatile, and uncertain economic reality. 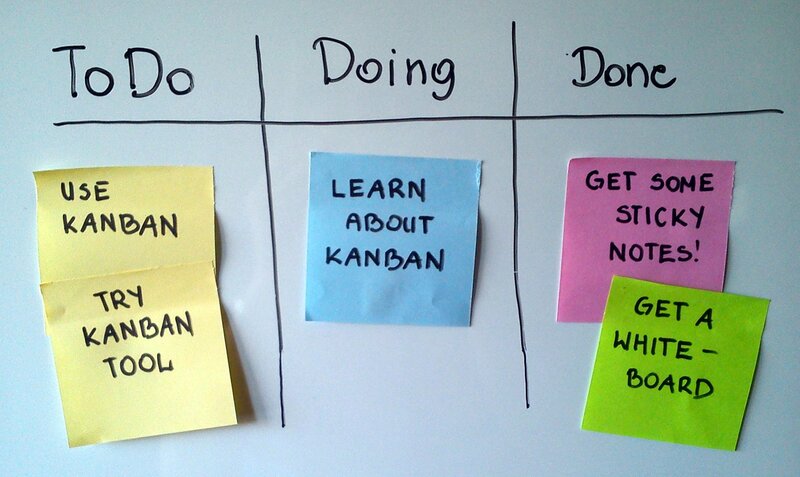 The essence of agile is captured in what is known as the 'daily scrum'. The daily scrum is the coming together of the senior management team. Everyone updates their peers on progress against their 90 day Objectives and Key Results aka OKRs (you can learn more on the OKR method at http://www.edcapaldi.com/agile-execution#OKR). The daily scrum is an evolution of Ivy Lee's method in that the approach is collaborative (digital age compliant) as opposed to private and individualistic (industrial age compliant). "What did you do since we last spoke?" - this acknowledges your success from yesterday and reinforces peer to peer accountability by confirming what we said we would do yesterday is done. "What are you going to do before we meet again?" - this applies Ivy Lee's brilliance, it helps the team voice their top 5 priorities for the next 24 hours. "Blockages/ What is getting in your way?" - by asking this question you allow the team to ask for support, and whatever comes up is immediately added to a blockage board with the date it was raised and who will fix it. The daily scrum is the ultimate way to build transparency, accountability and mutual trust and respect within your Leadership Team. It's all under the 'right people doing right things, first' way of thinking. Furthermore, I have seen teams achieve a 10Xing of their performance simply by combining the daily huddle with a 90 day strategic planning cycle. Industrial aged annual plans and 8 + 4 cycles are no longer applicable in today's VUCA reality (they do not work, period). High growth sustainable businesses have evolved to 90 day planning cycles. Shorter more focused cycles better manage volatility and ambiguity. Period! The stronger the top team perform against their given 90 day objectives the better the CEO performs. Vision turns into action and strategy into sales effectively and efficiently and in times where CEO and Company lifecycles are half what they where just a few years ago, you gotta let go of industrial aged tools and strategies and embrace the agile bug!The difference between Ivy Lee’s approach and Agile is simply that we use the daily scrums to bond together and force everyone into sharing their daily Top 5 priorities with the context of 90 Day Strategic Sprints. People that share weak ‘to do’s’ immediately come onto the radar to fix, to develop, or to replace…the team flywheel accelerates and winning becomes more predictable.What do you think?